"I'm very excited about the guidelines because what we've found out is that it's actually easier to attain the health benefits than we thought before. And the health benefits are so much greater." 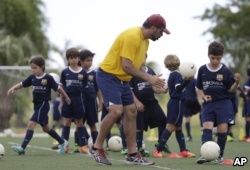 In this 2014 photo, Lee Santamaria, front, teaches children during a soccer camp held in Miami, Florida. "That was not present in our previous guidelines. 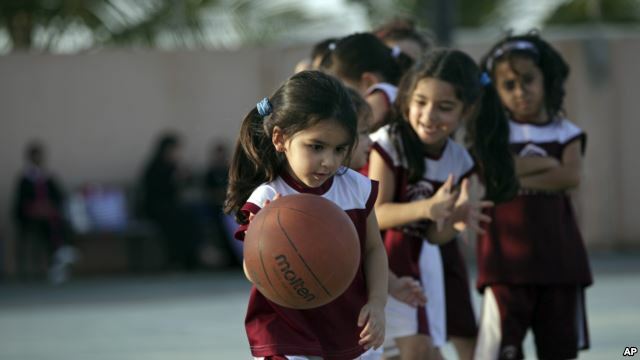 But essentially, those recommendations are that children in the 3- to 5-year-old age group really require about three hours of active activities per day. That could be light activities, moderate activities, or even vigorous activities. This is the kind of play that children normally engage in." If you are lucky to live near a mountain, skiing is a great exercise. 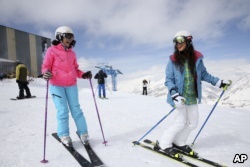 Here, Iranian skiers laugh at a ski resort north of the capital Tehran, Iran, March 2018. 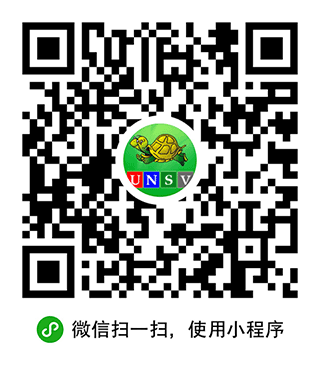 "So for adults, the guidelines recommend 150 minutes per week of moderate to vigorous physical activity. That could be brisk walking; it could mowing the lawn; it could be gardening; it could be dancing … any kind of activity that gets your heart rate up and gets you exercising moderately."